Today we’d like to introduce you to Riko Weimer. Riko, let’s start with your story. We’d love to hear how you got started and how the journey has been so far. I was born in Japan and started piano at age four. As a teenager, I moved to the United States to study at Peabody Conservatory and, later, to France, where I studied, performed and taught. When I returned to the United States in 1998, I chose to live in Los Angeles where I built a business teaching piano in Beverly Hills. After three decades of experience studying, performing and teaching on three continents, I developed the Riko Method, an innovative and original music teaching method that guides students to analyze, organize and execute musical materials efficiently and expressively. In 2006, I began training assistants in this unique pedagogic system, and in 2015, I opened the Riko Method School of Piano in Atwater Village. I believe that music education is the single most important matter today for our society. When music lessons are delivered correctly, they become brain training sessions in which students develop important transferrable skills. The manipulation of a musical instrument is a means to an end, a way of developing the brain. Playing beautiful music is a bonus. We give our students a chance to own their ideas and responsibilities to realize the abstract. They are not having fun because they are praised. They are having profound moments of joy because they know what they did to achieve the result. They don’t have to be told how rewarding that is. It is an aggressive discovery of productivity. I had a physically abusive stage dad growing up, and was bullied for my individuality in the conservative Japanese classical music world. After moving to the United States at a young age all alone, I dealt with the end of a marriage due to a divorce, the death of a second husband, and life as a widow with a young child. All of these trials just made me stronger. I never made the same mistakes twice. I always learned and reinvented myself. Alright – so let’s talk business. Tell us about Riko Method School of piano – what should we know? 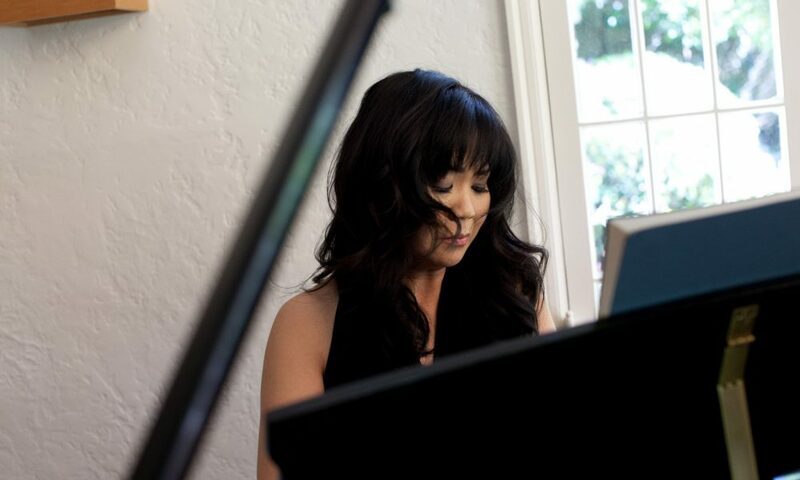 The Riko Method School of Piano is truly one-of-a-kind. We strive to empower our students through music. Utilizing a well-rounded curriculum that accelerates all aspects of music making, we seek to give our students a jump start that builds their confidence and love of music. It is our passion to equip students with the tools to develop critical minds. We are a source of harmony in our community, and helping is our business. I wrote all of the Riko Method lesson materials, developed the teacher training program, and am involved in the day-to-day operation of the business as well. I also continue to practice and occasionally perform at the piano. I am proud of our school because it is not a place where music is just taught, but rather a place where materials are exciting enough for students to desire to learn. All my students who allowed me to experiment with them for the last 30+ years to get where I am today. People who believed in me. People who laugh at me. People who wanted to destroy me. My family. They make me feel normal so that I can have a life outside of work.